Price and product are no more than a commodity. Customer experience is now a key differentiator, over and above price and product. Businesses that aren't designing their products and services from the customer's point of view are at risk. So, to stand out and create holistic customer experiences, forward-thinking businesses are adapting to enable service design and design thinking methodologies. 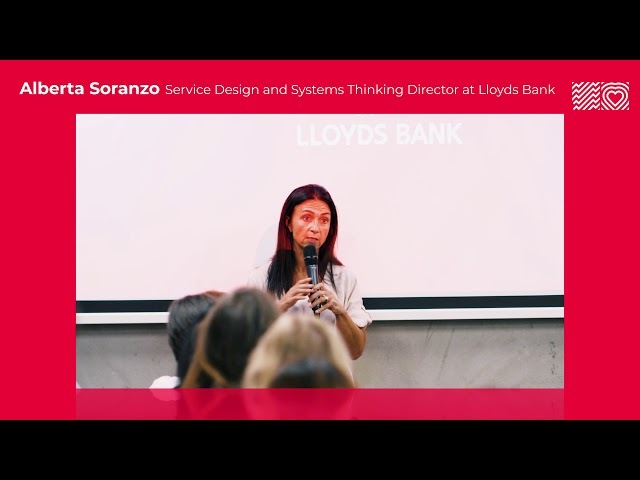 At our event in July our speakers shared how they are using service design to improve & innovate customer experiences to ultimately differentiate their brands. We also heard how they are adapting to and implementing changes from within to make service design possible. Alberta is a senior service design and systems thinking director focused on the creation and delivery of future-friendly, end-to-end service experiences that are insight-led and create value for customers and businesses. She has extensive experience building and leading multidisciplinary design teams, facilitating the creation of collaborative environments, and the introduction and application of Agile methodologies. She has developed and actively participates in local and global user experience communities, nurturing talent, speaks at leading conferences across the world, and she enjoys the opportunity to mentor the next generation of designers and thinkers. It's impossible to become customer-centric overnight. We understand there are six stages of customer experience maturity, our questionnaire will define where you are now and the steps you may need to take in order to move forward.